When I first began to learn about online business and all the internet marketing stuffs, I mistakenly thought that niche marketing and internet marketing niche are just the same in meaning. After reading some internet marketing blogs and eBooks, I found out that these two words have totally different applications. Misconception of these words might be one of the reasons why some may think that niche marketing is a hard business because it is already crowded and competitive. If we try to compare niche marketing and an internet marketing niche, it is just like comparing mangoes with guavas. Mangoes and guavas are both fruit. While niche marketing and internet Marketing niche are both forms of internet marketing, they are as different as mangoes are from guavas. As defined on the previous post, the words ‘niche marketing’ simply means selling a specific product to a specific type of buyer. There are lots of far less competitive niches than an internet marketing niche. Also, most niche markets are more open to the latest marketing strategies. Many small niche markets are not over stocked with internet gurus and wise men and therefore much easier for the newbie marketer to break into. In a niche market, you can promote your own niche product or that of a niche affiliate product. Virtually speaking, there is a niche market for anything and everything you can imagine. So, all it takes to break into a niche market is a good idea, a good product created by you or someone else that will appeal to particular people, some advertising and the desire to succeed. On the other hand, the internet marketing niche simply means that you will be promoting your own internet marketing product. Be it a “how to” eBook, a report, a marketing script, a website template, an ezine, or internet marketing video and audio guides. As you can see, internet marketing niche is a very crowded and competitive field of endeavor and can be very difficult to break into. This is a world filled with internet gurus and wise men. Many of them have been playing and winning the game since the beginning of the internet. However, it doesn’t mean that it is impossible to cash in on the internet marketing niche because, of course, you can. 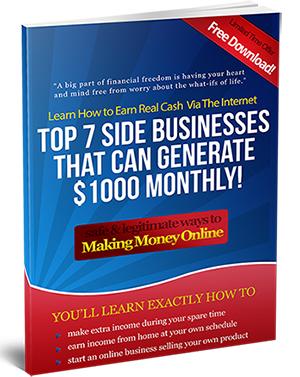 This is a world still built on demand since thousands of people are realizing the possibility of making money online and are coming to the net to find out how. This means that if you have the product that can compete and if you have the willingness to play hard ball with the big boys with their big toys then you can succeed at the internet marketing niche game. Just don’t forget that there are easier niche markets to conquer.